You must visit here first before you start anything so you can learn the does and dont of the entire site. here's where you can find the history of the site and characters. The Land of waves doesn't have a hidden village. So unless your character chooses to be a rogue ninja you can not reside here. The Human World and Soul Society are parallel to each other and are two sides of the same coin. Soul Society consists of the Rukongai (wandering soul city; Viz: Rukon District), where souls live when they arrive in Soul Society, and Seireitei (court of pure souls), which is at the center of Soul Society. The mode of life here closely resembles that of feudal Japan. Shinigami enter and leave Soul Society by unlocking the Senkaimon and using a Jigokuchō. Pluses, on the other hand, enter Soul Society through the ritual of Soul Burial. When people die, they are assigned a number to a part of Soul Society according to when they died. Spirits can be born in Soul Society as much as in the living world, with the Shinigami acting to balance the souls.Intruders can pass through the Senkaimon in the same manner, but only in soul form. 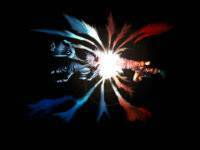 This allows spiritual beings, such as Ichigo in his Shinigami form, to enter without permission. Humans can also use such a gate through the use of Reishihenkanki (spirit exchangers), which convert solid matter into Reishi's.Finally, Hollows can also directly rip a hole to Soul Society from Hueco Mundo, or in the case of Arrancar, using a Garganta. The Division is further divided accordingly into Advanced Relief Teams, whether or not the relief squads are determined by Healing skill or area is unknown. The 6th Division is seen as a model division by every Shinigami and is known for its strict adherence to rules. The 12th Division develops new technology and spiritual tools and its been the home of the S.R.D.I. for 110 years. The 12th Division has been directly linked to the Shinigami Research and Development Institute over 100 years ago by former Captain Kisuke Urahara. As such technological and scientific research has become the full measure of what the division involves itself in primarily. Members are tasked with research and collection of data and samples, something both the current and previous Captains are very enthusiastic about, though not to the same extreme. Hueco Mundo (Wekomundo; Spanish for "Hollow World", Japanese for "Hollow Sphere") is the dimension where Hollows and Arrancar usually reside. It lies in between the world of the living and the Soul Society.A large portion of Hueco Mundo is covered by a desert, a silent world of death. An unchanging night covers the sky, an endless white desert covers the ground. The tree-like objects are not plants, but rather quartz-like minerals. 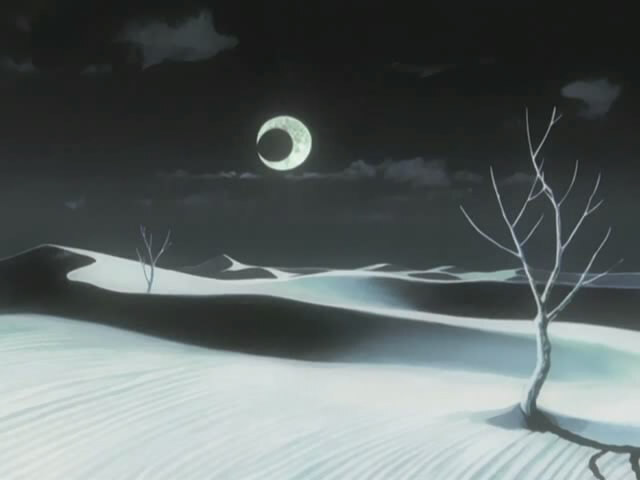 The landscape of Hueco Mundo is a seemingly never-ending white desert, with a multitude of dunes. The desert is littered with what appear to be boulders and shriveled trees, but these are actually a form of quartz. In Hueco Mundo, the moon is on the opposite lunar phase of that in the Human World. The vast desert also seems to lack any bodies of water and contains rocky formations. Like in Soul Society, the atmosphere is filled with a high concentration of Reishi, thus allowing smaller Hollows to gain nourishment despite the lack of Human souls. Similar to the case of real world deserts, active life in Hueco Mundo appears to be few and far between. Hollows generally seem to dwell below the surface or in other areas until something provokes them to leave their shelter, like the intrusion of a foreign entity. According to the Shinigami, all Hollows dwell in Hueco Mundo regardless of their shape, size, or power.